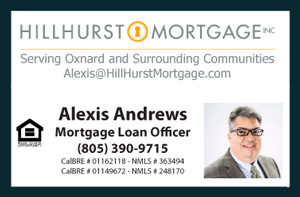 Everyone is welcomed to come out to my Open House at 1540 Port Drive in the Via Marina neighborhood Oxnard, CA this Saturday August 6th from 1 p.m. to 4 p.m.
Move-in Ready on a large corner lot with new Exterior Paint. Modern Open-Concept. Fine detailed Gourmet kitchen boasting elegant Hickory wooden cabinets. Enjoy a family fireplace, recessed lighting, and Hickory hardwood floors. Substantial natural light throughout with newer double pane windows. A must see to appreciate property! Gourmet Kitchen and Open Concept Design in one of Oxnard’s premiere neighborhoods. Featuring a 4 Bedroom 2 Bathroom single level house with approximately 1678 square feet of living space on a large corner lot that measures approximately 9320 square feet with an RV gate. All new exterior paint with termite clearance.